Gastroenterologist, Hepatologist and Endoscopist. MBBS, FRACP. Rafiq Ali was born in Fiji and trained at the Fiji Medical School and Mysore Medical College (India). He qualified MBBS in 1973, did most of post-graduate training in Auckland, New Zealand 1973-1978 and spent several sabbatical times in various hospitals in the UK and USA. 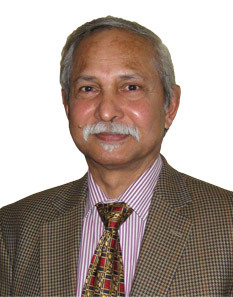 From 1978 to 1987 he served as Medical Tutor Specialist and from 1980-1997 as full time Hospital Medical Specialist/Gastroenterologist in various public hospitals in Auckland. Between 1987-1997 he became full time Gastroenterologist/Head of Department of Gastroenterology at Middlemore Hospital. He also served as Clinical Lecturer for Auckland Medical School from 1978-1997. Rafiq came into part time private practice in Auckland in 1991 and full time private practice from 1997. He has very extensive experience of more than 20 years in all aspects of gastrointestinal, digestive, liver and pancreatic diseases. He is regarded as the most experienced and expert diagnostic and therapeutic endoscopist with special interest in ERCP and colonoscopy. Quality colonoscopy as part of colon cancer screening is of particular interest and he has an active role in procedural audit. He is a member of the New Zealand Society of Gastroenterology; American Society of Gastrointestinal Endoscopy; and American Gastroenterology Association.